Weather Data from the Bridge: Northwest wind 5 to 15 knots, wind waves 1’ to 3’, west swell 3’ at 14 seconds, patchy fog. I’ve been putting in long hours on the back deck, washing plankton in sieves and hosing down the hoop net. Often by the time the sample is safely in its bottle and all the equipment is rinsed off, it’s time to put the net down and do it all again. But, when I look up from the deck I see things and grab my camera. The surface of the ocean looks empty at first glance but it isn’t really. If you spend enough time on it, you see a lot. 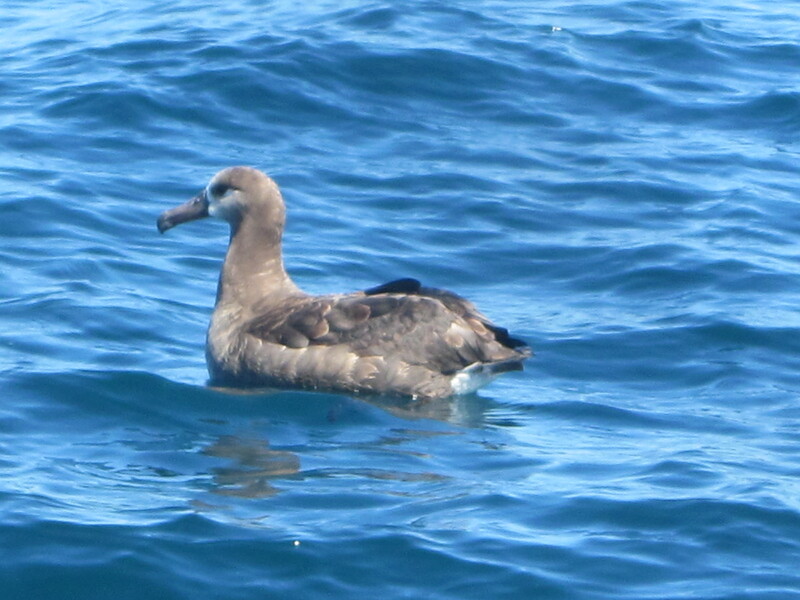 Black footed albatrosses turn up whenever we stop to collect samples. They probably think we are a fishing boat – we’re about the same size and we have a cable astern. They leave once they find out we didn’t catch any fish. Kirsten tells me these birds nest on atolls east of Hawaii, and that most of the thirty or so species of albatross live in the southern hemisphere. 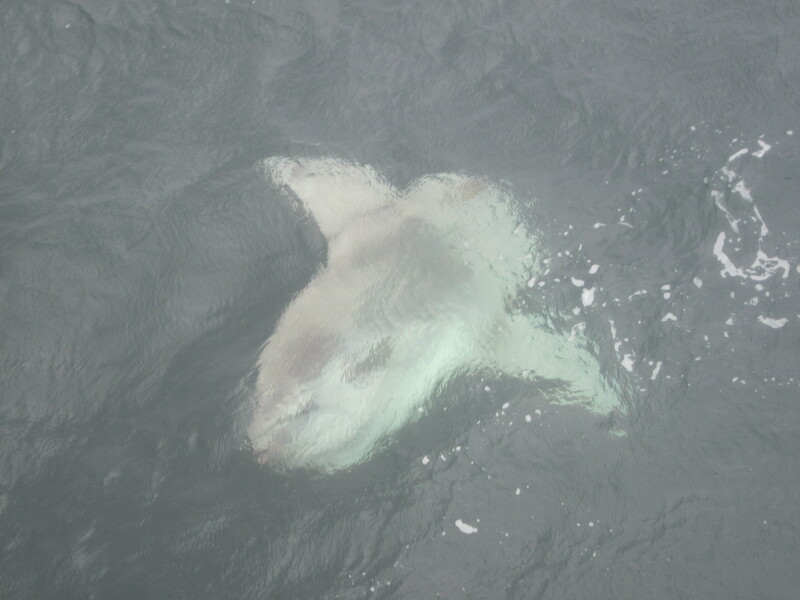 We also see lots of molas, or ocean sunfish. These bizarre looking fish lie on their side just under the water’s surface and eat jellyfish. They can be really large – four feet long, or more. I wonder why every predator in the ocean doesn’t eat them, because they are big, slow, very visible and apparently defenseless. The scientists I am with say that sea lions sometimes bite their fins. Molas are probably full of bones and gristle and aren’t very appetizing to sharks and seals. There are more molas than usual; one more indicator of the extra-warm water we’re seeing on this cruise. 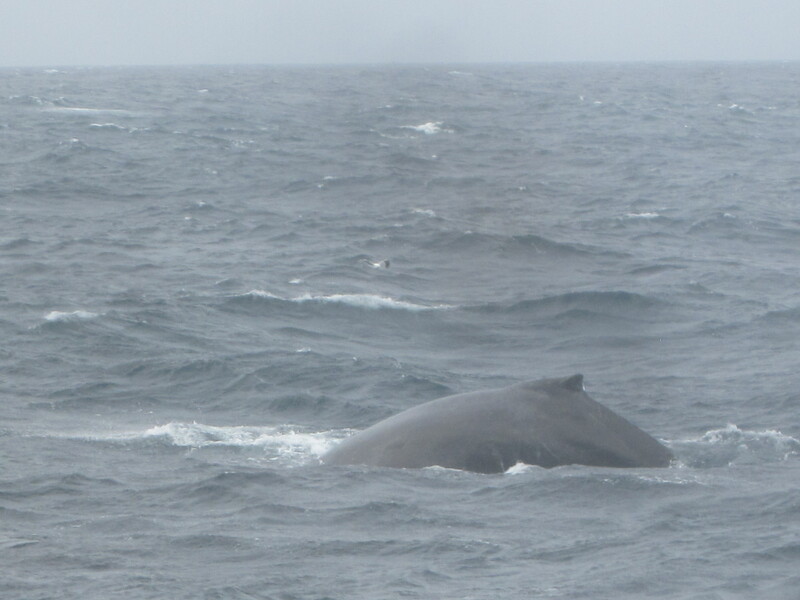 And of course there are WHALES! At times we a have been completely surrounded by them. 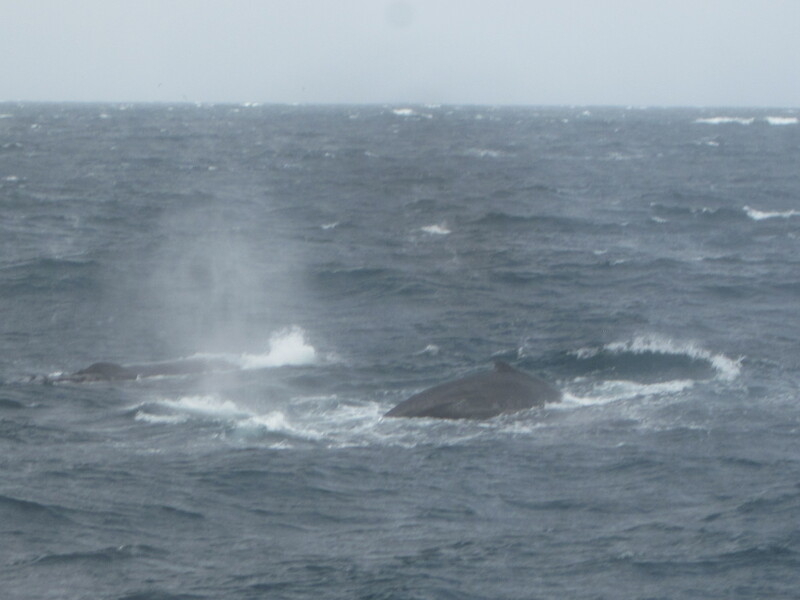 Humpback whales, mostly, but also blue whales. The humpbacks are black with white patches on the undersides of their flippers and barnacles in places. They are playful. They breach, slap the water with their flippers, and do other tricks. The blue whales are not really blue. They are a kind of slate grey that may look blue in certain kinds of light. 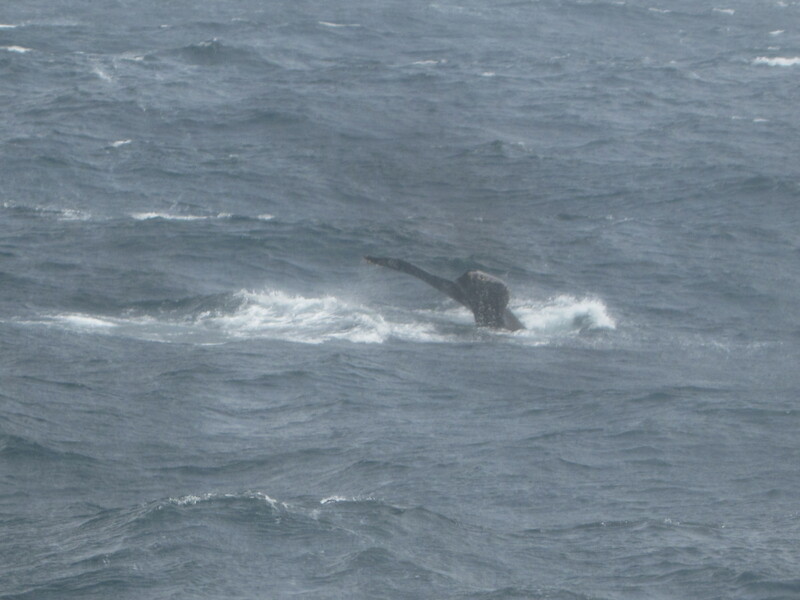 They are longer and straighter and bigger than the humpbacks, and they cruise along minding their own business. Their spouts are taller. When we see one whale breaching in the distance, we call out. But, when a bunch of whales are all around us, we speak in hushed voices. 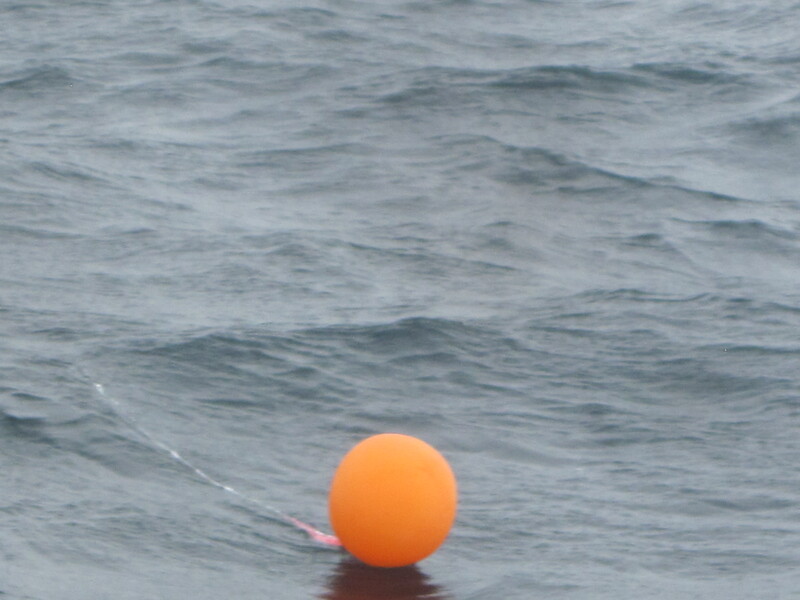 I have seen six balloons floating on the water, some dozens of miles offshore. Four of them were mylar, two like this one. The scientists I am with say they see the most balloons in June, presumably because June has more graduations and weddings. Maybe it’s time to say that balloons are not OK. When they get away from us, here’s where they end up. 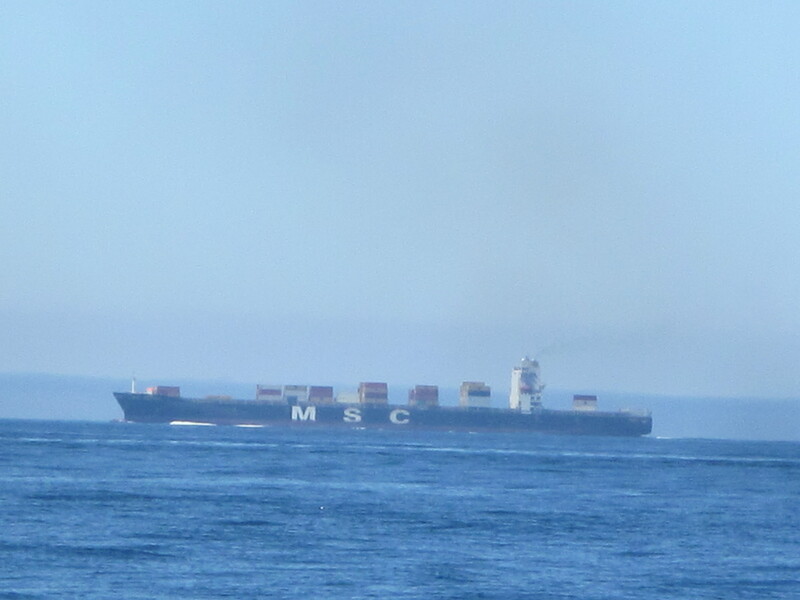 We see container ships on the horizon. Sometimes they hit whales by accident. Every t-shirt, pair of sneakers, toy and electronic device you have ever owned probably arrived from Asia on one of these. Each of those boxes is forty feet long. This is my last post from the R/V Fulmar. I go home tomorrow. I sure am grateful to everyone on board, and to NOAA, Point Blue Conservation Science, the Greater Farallones National Marine Sanctuary and the Cordell Bank National Marine Sanctuary for giving me the opportunity to visit this special place. Did You Know? 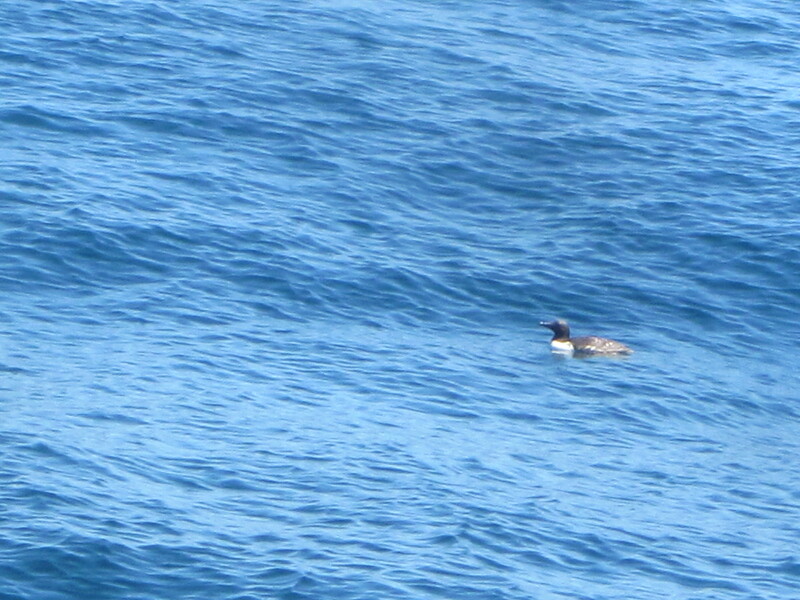 When common murre chicks fledge, they jump out of their nests onto the surface of the sea. The drop can be forty or fifty feet. At this point they can swim, but they don’t know how to fly or find food. So, their fathers jump in after them and for the next month or two father and chick swim together on the ocean while the father feeds the chick. 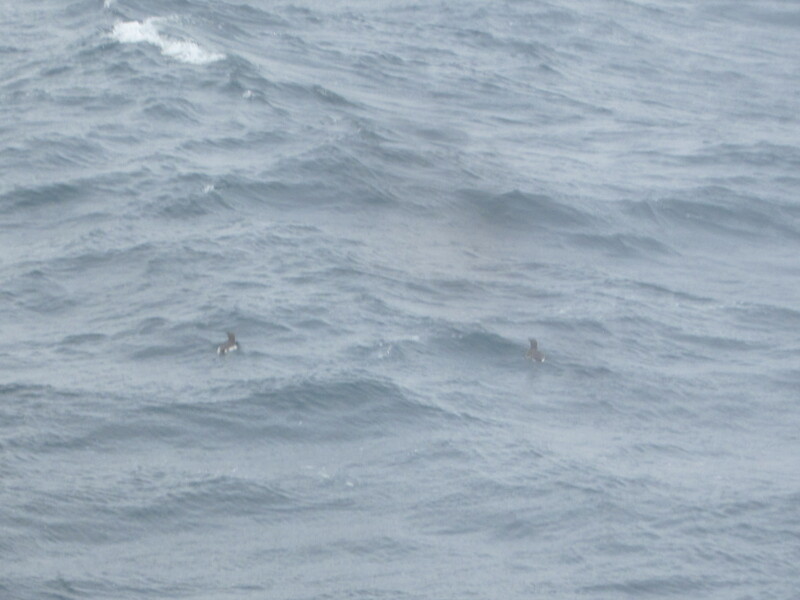 These are small birds and they can easily get separated in the rough seas. When this happens, they start calling to each other. It sounds sort of like a cat meowing. We have heard it often on this cruise. 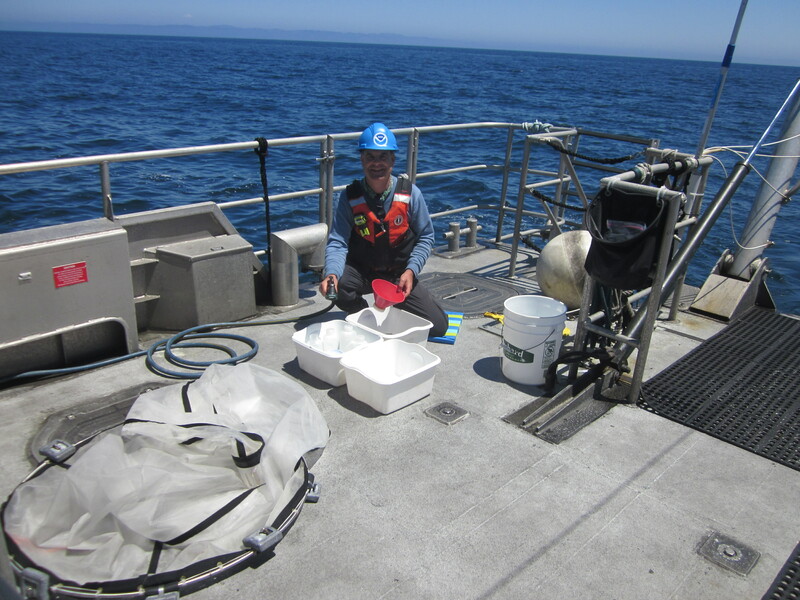 This entry was posted in 2015, Michael Wing, National Marine Sanctuary, NOAA Ocean Service, NOAA Teacher at Sea and tagged plankton, seabirds, whales. Bookmark the permalink.